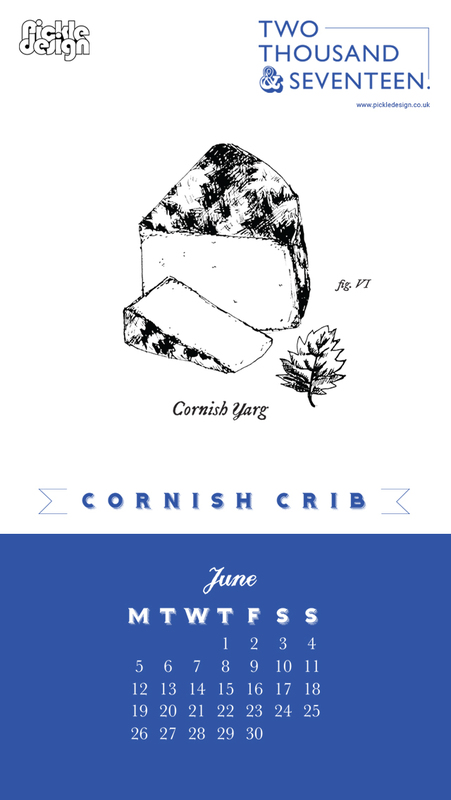 Welcome to June! 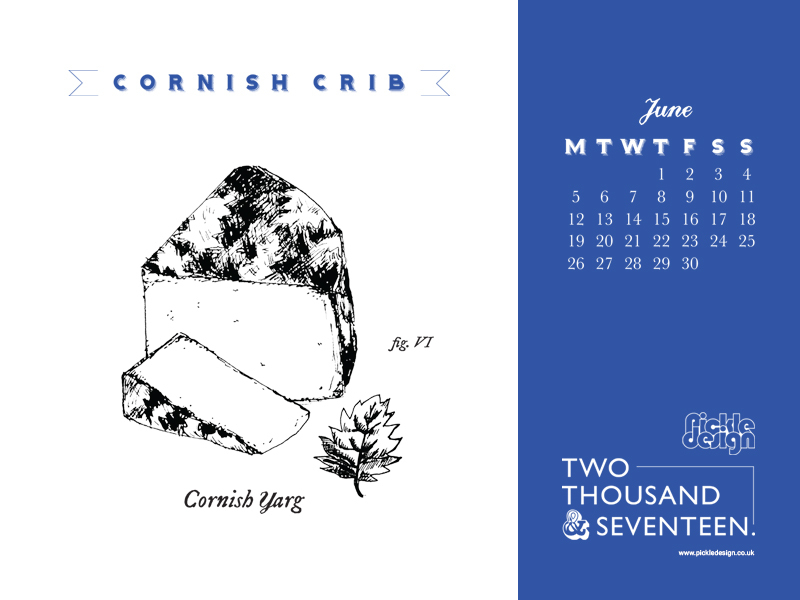 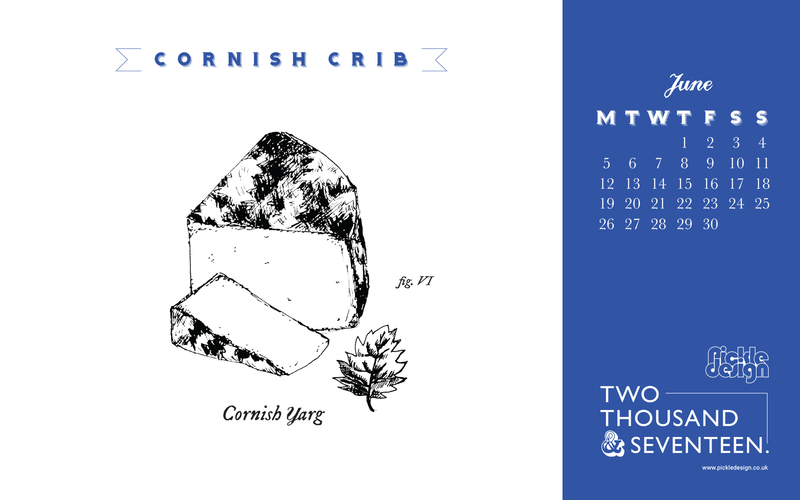 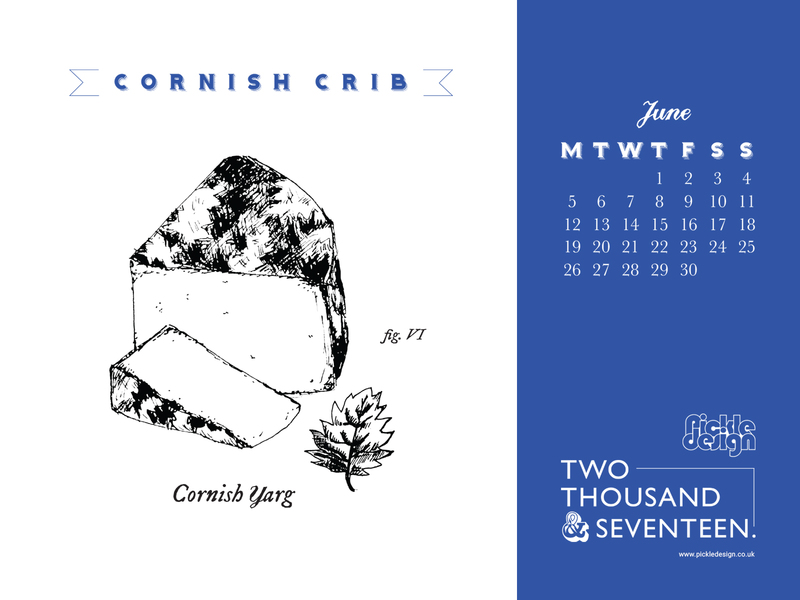 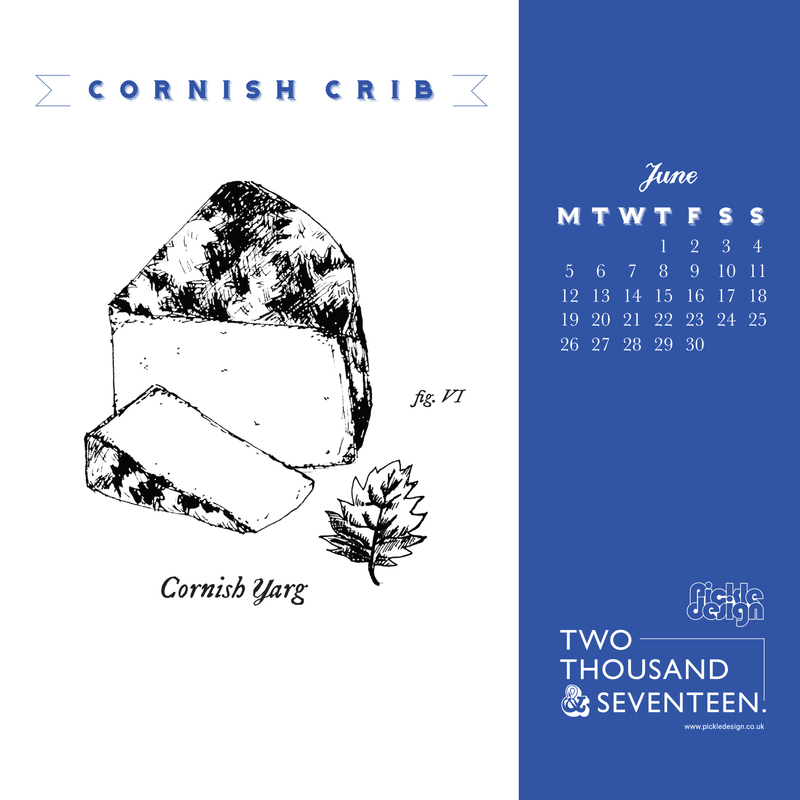 This month we focus on the delight that is Cornish Yarg. 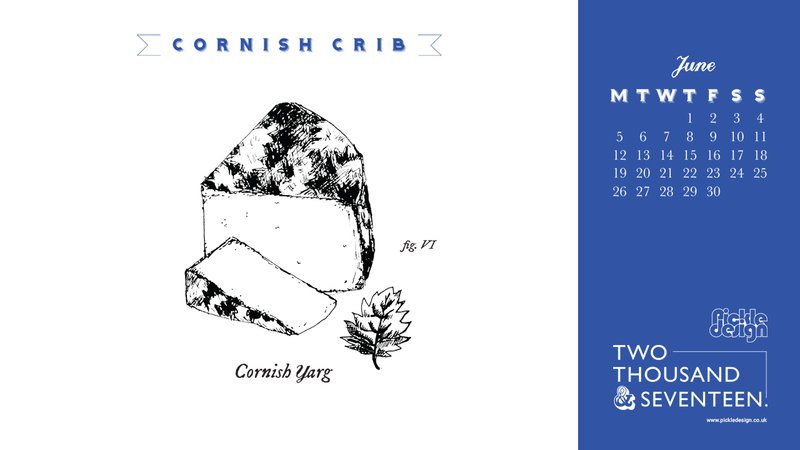 Wrapped in nettles this delicate cheese is just plain yummy. 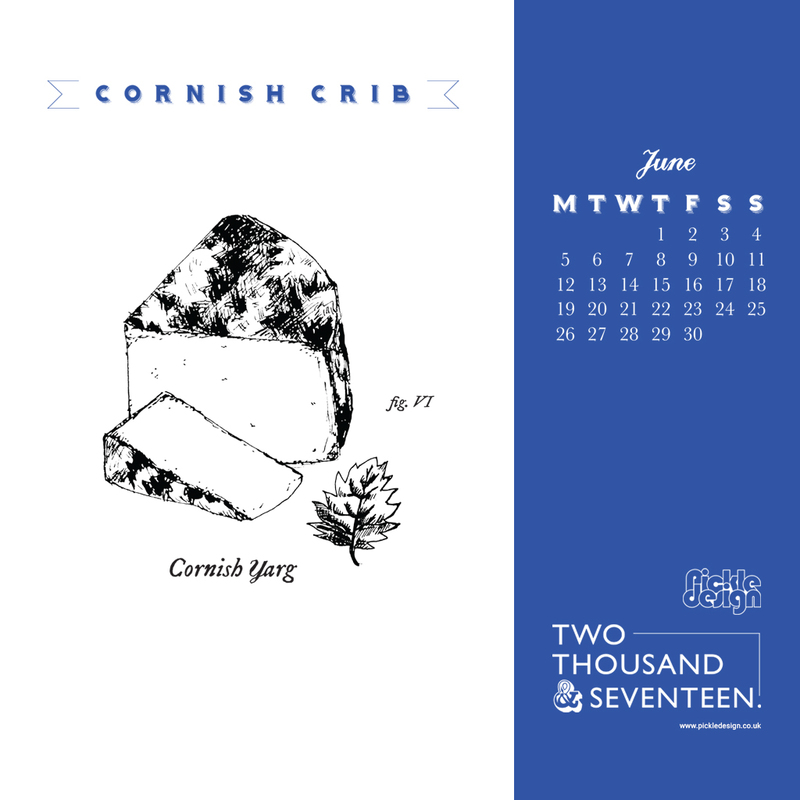 We captured it in our engraving style for this months calendar.